Federal False Claims Act litigation or qui tam lawsuits are on the rise as citizens help disclose cases of fraud against the government. It is on the few statues that permit private individual to bring a lawsuit on behalf of the government and share in a percentage of the recovery. Qui tam litigation includes the disclosure of illegal activities ranging from tax evasion to health care fraud involving Medicare and Medicaid. Successful qui tam suits have also been filed in cases involving, defense contracts, underpayment of royalties (such as oil, minerals and gas from public lands), brokerage firm fraud, and construction cases. Qui tam cases are complex and require a specialized process. 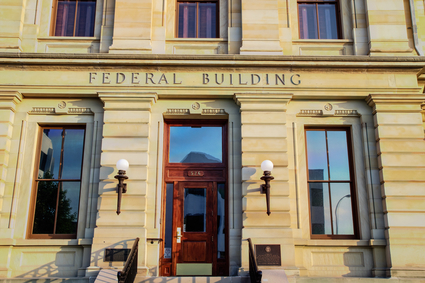 It is important to seek representation from attorneys experience with commercial litigation and qui tam lawsuits, know the process and are familiar with dealing with the government and large corporations. If you believe you’ve found wrongdoing at your workplace, you may be wondering, what is a qui tam suit? Have you found or reported illegal or fraudulent activity at your company? Is your company illegally dumping hazardous waste? Have you discovered that health insurance company billing for unnecessary tests, upcoding to receive higher reimbursements, paying illegal kickbacks and referrals or bill the government for non-reimbursable costs? Do you know of bribes being paid to obtain defense or other federal contracts? In general, the law protects you from retaliation for doing the right thing and reporting the wrongdoing. Through legislation, Congress has offered certain whistleblowers legal protection and monetary rewards. If you have been fired, demoted, suspended, threatened harassed or in any other manner discriminated against for blowing the whistle on your employer, you may file a lawsuit in an appropriate court to seek relief including reinstatement, two times the back pay, interest on back pay, and any special damages sustained as result of the discrimination including litigation costs and attorney fees. The lawsuit must be filed typically within two years of the retaliatory termination or action unless otherwise specified by statute. If you believe you have a claim, contact a lawyer at The Law Office of Mynor E. Rodriguez P.C. today to discuss your options. We have the know-how and tenacity to take the toughest defendants. Our qui tam and federal false claims act litigation attorneys will fight to right this wrong.